While the actual space exploration is being put on hold, nothing should stop humanity from freely going over possibilities and speculating about the unknown. So far, the Universe is endless and who knows what is out there! 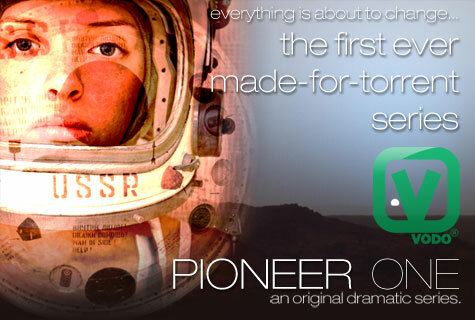 Pioneer One takes on the mission of telling a science fiction story with more than a hint of a government scale conspiracy and a spin off into politics. When a born on Mars human child falls on Earth and finds himself in a world he had never seen, the challenge is to introduce him into a new reality, find a way of communicating with him and protecting him. But first, there’s a question of his identity that someone needs to answer, and quick. Time is pressing on the team of researchers-the space child is terminally ill. The series is filmed with an obvious eye for quality. Each episode is composed of accurately acted out scenes that forward the story line with each new minute of production so as not to disappoint the web audience, and we are a spoiled folk, used to high pace and quick action. What stands out while watching is how well coordinated cast and the team behind the scenes is. This can only be achieved with a dedication and passion for the craft, and is such a pleasure to be a witness of.